Functional Design: The simplistic design provides a quick and effortless solution for rack systems which need to provide space for a keyboard. 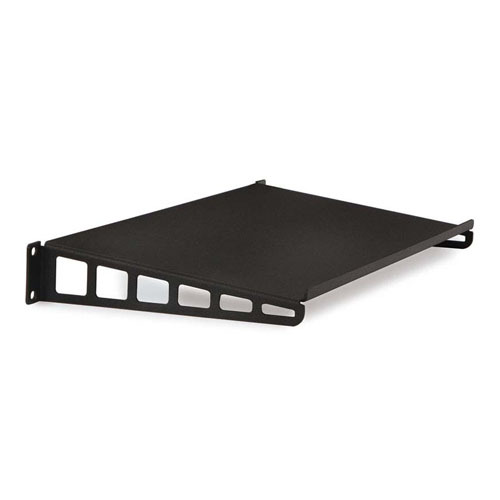 The angled shelf supports any standard keyboard in a comfortable position for users. Rounded Corners: The rounded corners and textured powder coat finish helps to eliminate accidental injury or damage to installers, users and surrounding equipment. 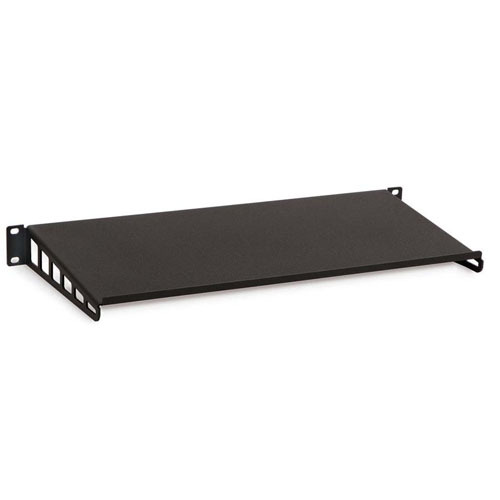 Easy to Install: The slim 1U profile can be installed using rack screws (and cage nuts if needed) into modular racks, 4-post racks, 2-post racks, and more.